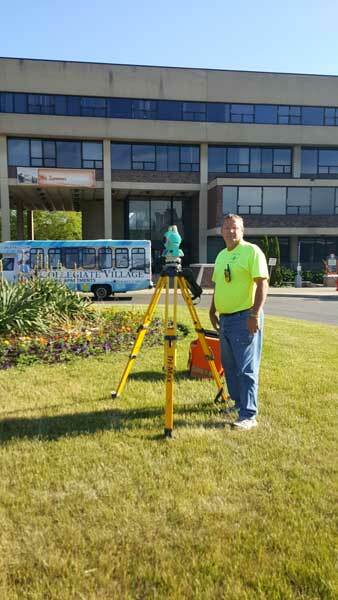 Daniel L Barry Land Surveyor, LLC is a full service Land Surveying firm, located in Chautauqua County, NY, in the eastern edge of the Village of Lakewood. Daniel L. Barry is licensed in New York and Pennsylvania. We generally serve southwestern New York and northwestern Pennsylvania, although for specific, larger projects, we have also done work in other areas of middle and central New York State. We perform many boundary surveys and minor subdivisions in Warren and McKean Counties, PA each year, as well as in Elk County, while also covering most of the northwest corner of Pennsylvania including Crawford & Erie Counties. Some of the types of surveys that we perform each year include: boundary surveys for real estate transactions; line marking for timber harvesting; oil & gas well plats; construction staking; topographic surveys for new building and utility construction, construction staking, ALTA/ACSM Land Title Surveys, and subdivisions. We also use GPS for survey control when warranted. We have RTK GPS and dual frequency static GPS services as a part of the many services that we provide. We use the latest GNSS survey equipment, using all three currently available GPS constellations, to bring real world coordinates to your project site. We are the successors to the records of Gary Wareham, Surveyor of Russell, Pennsylvania and successor to the records of William Bevevino, Surveyor, of Warren, Pennsylvania. Village of Fredonia and Town of Pomfret. We also regularly do work in Silver Creek, Dunkirk, Fredonia, Cherry Creek, Sinclairville, Cassadaga, Mayville, Westfield, Findley lake, Sherman, Clymer, Panama, Celoron, Lakewood, Jamestown, Falconer, Kennedy, Frewsburg, Ellington in Chautauqua County. And in Cattaraugus County, we regularly work in: The Town and Village of Randolph and east Randolph, Village of Cattaraugus, City of Salamanca, Village and Town of Ellicottville, City of Olean, Town and Village of Allegany, Village of Franklinville. In Warren County, Pa. we regularly work in the boroughs of: Sugar Grove, Russell, Youngsville, Columbus, Sheffield and the City of Warren.